Editor's note: On the occasion of five weeks after the new central leadership elected at the first Plenary Session of the 18th Communist Party of China (CPC) Central Committee took office, Xinhua News Agency opened the "Top CPC Leadership" special column. Over three consecutive days beginning Sunday, Xinhua will broadcast profiles and related photos of the seven members of the Standing Committee of the 18th CPC Central Committee Political Bureau. Xi Jinping now leads the 91-year-old CPC, the world largest political party with more than 82 million members, as it rules China, the world's second largest economy. 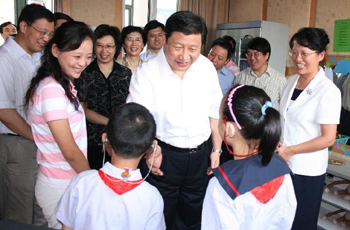 The whole country and the world are putting their eyes on Xi: What will he do to lead the CPC to better serve the people? 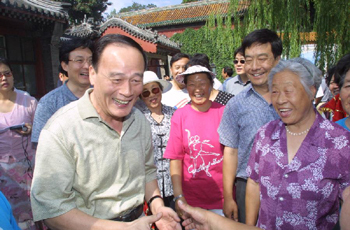 His toughness in advancing complex reforms, as well as his social warmth and scholarly temperament have made him a major figure in China's political arena. Confident, smart and eloquent in public, Li is frank, amiable, resolute and responsible at work, according to his acquaintances. 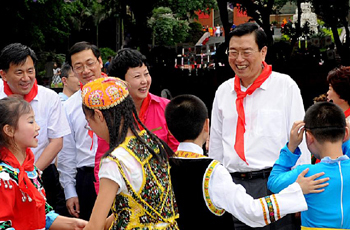 "Governing for the people" has been the principle Zhang has abided by ever since he began his political career. "No matter how high our cadres' posts are, we are still members of the general public. We must always bear the people in mind," he has said. 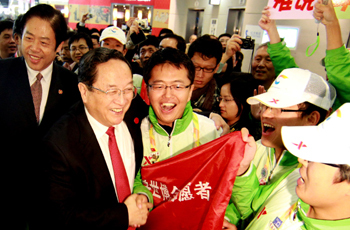 Yu Zhengsheng, in the eyes of his colleagues, is a man who does not follow routines. He would avoid prearranged inspections and then make sudden visits; He is not interested in listening to subordinates' lengthy work reports, but likes to go straight to questions. 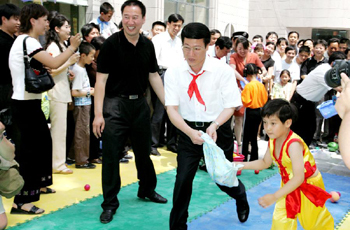 One lesson Liu Yunshan learned more than 30 years ago remains as he is elevated to the top leadership of the Communist Party of China (CPC). "Get down to the earth," Liu, 65, often tells his colleagues. "Only in this way can we become people of confidence and intelligence." "He can do it" was many observers' comment when Wang Qishan took up a challenging new mission last month to lead China's top discipline watchdog amid rising calls for crackdown on corruption. Simply more than a month into his new role, Wang has demonstrated the same style that previously won his fame as a troubleshooter in the economic field: tough, resolute and confident in front of difficulties. 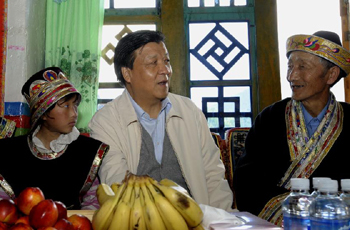 When Zhang Gaoli was born into an impoverished peasant's family 66 years ago, no one might have imagined that he would become one of China's most powerful people. The self-dubbed "poor boy," however, made it when he was elected last month to the top slate of leadership of China's ruling party.